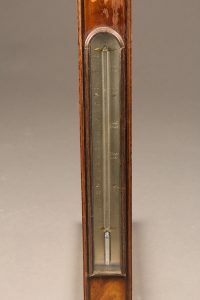 Mid 19th century Dutch stick barometer and thermometer. 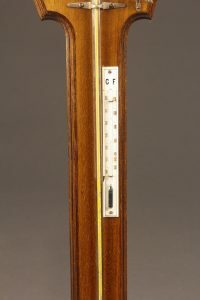 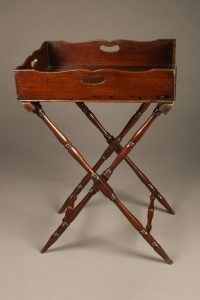 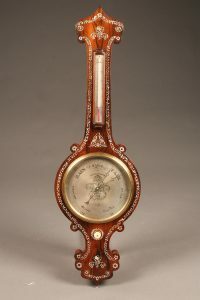 Mid 19th century English barometer and thermometer in mahogany. 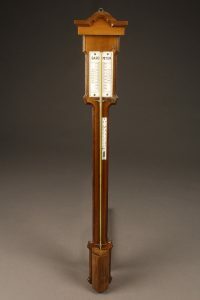 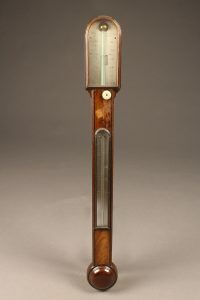 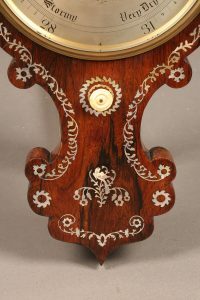 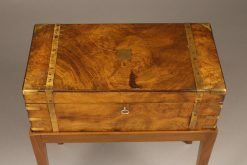 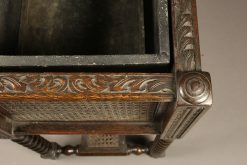 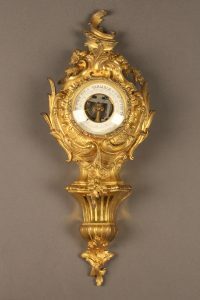 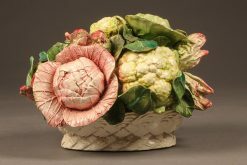 19th century English barometer in rosewood and mother of pearl. 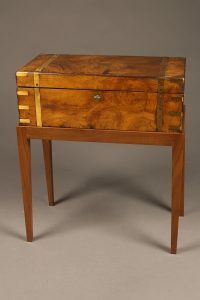 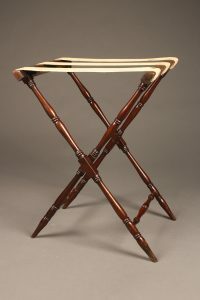 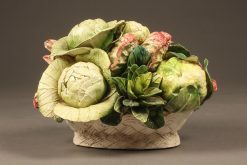 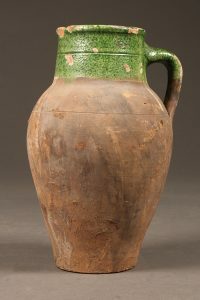 Jardiniere in caned oak with liner and writhen legs. 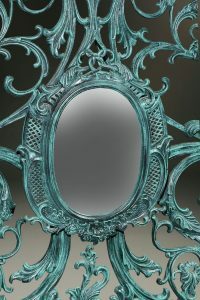 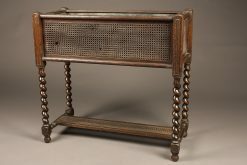 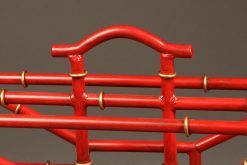 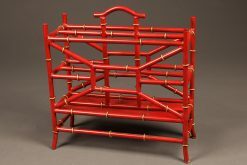 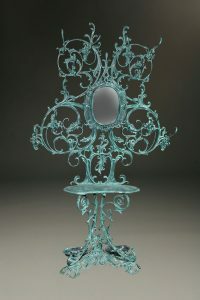 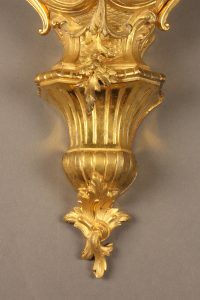 Ornate Victorian cast iron coat rack or hall tree. 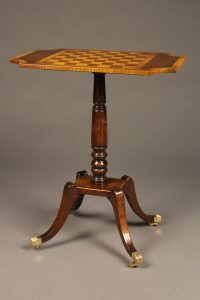 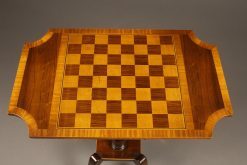 Custom English chess table on 4 leg pedestal.